Establish the AquaBility certification process and commit to the instructor Code of Conduct. Define suitable participants for AquaBility classes. Review AquaBility 10 Steps to Leadership Excellence; set personal learning objectives. List benefits of aquatic exercise for most populations. Define aquatic exercise considerations and adaptations for 9 specific health conditions. List movement modifications for AquaBility classes related to aquatic properties, including: buoyancy options and use of floatation devices; intensity options; use of resistance equipment; teaching tips for offering movement modifications; functional exercises to improve strength and independence for activities of daily living (ADL); balance training and adaptations; gait training exercises; recommended lower and upper extremity movements; tips for teaching participants with the instructor in the pool rather than on deck. Practice movement modifications using case studies. List exercise progressions for balance and core training exercises, from least to most difficult. Outline AquaBility class and program design including: adapted components of fitness; warm water versus recreational pool temperatures; scheduling recommendations; consideration of pool characteristics; class template. 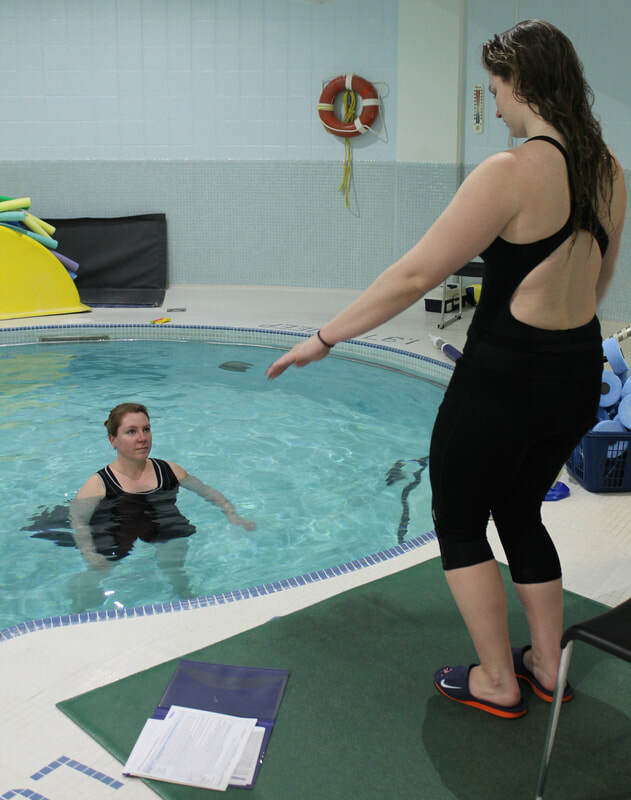 Summarize aquatic exercise goals and guidelines for pain-affected participants. Engage in AquaBility class planning and practice teaching, emphasizing exercise objectives for this population, which include: detailed posture education; pain management, relaxation and breathing strategies; exercise adaptations for common movement limitations; gait training, balance and fall prevention strategies; strategies to maintain range of motion and function. Who Should Attend an AquaBility Course? If you teach aqua fitness classes for people with health issues, this course was designed for you. AquaBility training and certification courses are intended for certified aqua fitness leaders (or acceptable equivalent), who have a year or more of teaching experience. This certification course prepares leaders to teach adapted classes for people who have pain or difficulty moving. AquaBility classes can be taught in warm water or recreational pools. Bring your AquaBility manual. If you have not done so, arrange to have the manual in advance of the course. Read the manual thoroughly before attending. Pen(s) with dark coloured ink, extra note paper if you wish, highligher pens & index tabs for your manual if you wish. Suits & towels for 2 pool sessions. Food for lunch & snacks on site. There usually will not be enough time to leave the facility for food. Enthusiasm for learning and an open mind.